For children ages 2-5 (accompanied by a caregiver) on Thursday, November 15th from 11:30-Noon. 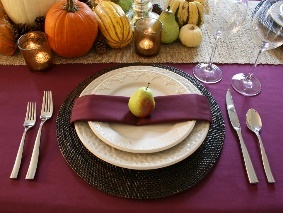 Children will hear about Thanksgiving traditions and then learn how to set a place setting… and we will practice proper manners at the table for one of the best meals of the year. Please register in advance by phone or online.